Lokar shifter boots are black Naugahyde and all sets include a boot, polished stainless base ring, or billet aluminum ring with ball-milled edge and stainless screws. Available in transmount style or floor mount style. Boot hugs the hand brake lever. 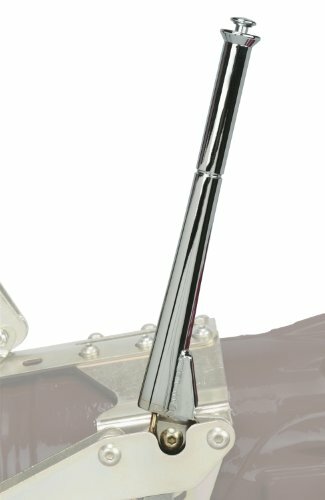 Lokar 16 Inch Trans Mount Emergency Hand Brake is a Chromed steel transmount emergency hand brake. The ratchet cut gear plate and lock are heat treated for strength and safety. The geometrical design of the lever allows for comfortable leverage operation. The Levers are available in 11 or 16 inch lengths to complete Lokar's automatic transmission shifter. The mounting hardware for use with Lokar automatic transmission shifter is included with transmount cable kits and is used with the built-in mounting bracketry included with the shifter kits. 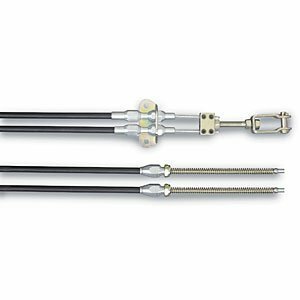 Lokar Universal Emergency Brake Cables Black Housing has been designed for use with Lokar's Floor Mount Emergency Hand Brake, in conjunction with Lokar's Connector Cables. The kit comes equipped with quality one-piece aluminum adjusters and aluminum ferrule to eliminate fraying of stainless housing. The Outer housing is designed with specially extruded liner for extended life of the cable. It's stainless inner cable resists moisture. The design allows rear end backing plate fittings to be removed without removing brake cables. Lokar cables also feature adjustable cable lock and clevis. The kit is complete with cable bracket and spacers and includes two 8 foot outer housings that are "U-Cut-to-Fit". It is available in stainless or black housing. The application fits the 8 Inch and 9 Inch Ford, Chevy, Chrysler and Lincoln Versailles drum and disc brakes. Lokar Under The Dash Emergency Handbrake gives you ease of operation along with a clean, out of the way emergency brake. There are no cables entering through the firewall. It fits in a space as small as 9 inches from the firewall to dash. The ratchet cut gear plate and lock are heat treated for strength and safety. The lever has been designed with durability in mind. 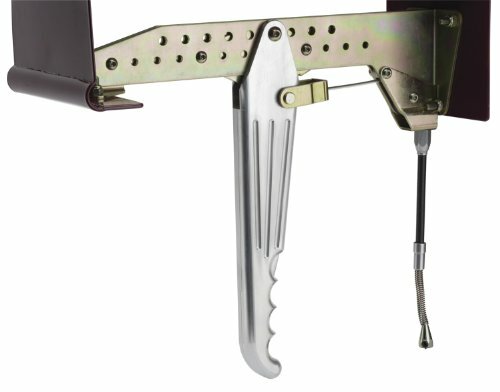 The one piece design of the lever with a pistol grip and trigger allows for comfortable leverage operation. 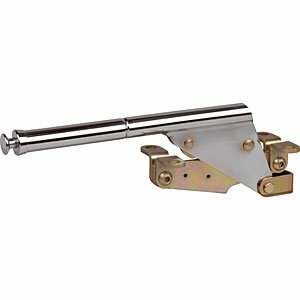 Lokar 11 Inch Trans Mount Emergency Hand Brake is a Chromed steel transmount emergency hand brake. The ratchet cut gear plate and lock are heat treated for strength and safety. The geometrical design of the lever allows for comfortable leverage operation. 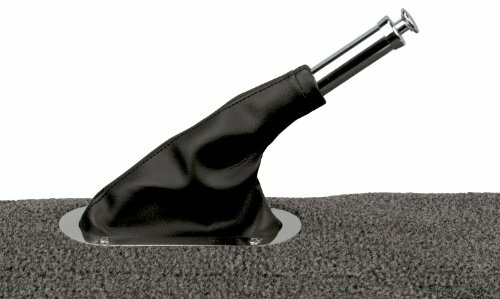 The Levers are available in 11 or 16 inch lengths to complete Lokar's automatic transmission shifter. The mounting hardware for use with Lokar automatic transmission shifter is included with transmount cable kits and is used with the built-in mounting bracketry included with the shifter kits. Lokar Trans Mount Brake Cables Black Housing can be used with Lokar's transmount emergency hand brake. It includes a bracket for mounting cables to hand brake. The kit comes equipped with quality one-piece aluminum adjusters and aluminum ferrule to eliminate fraying of stainless housing. The outer housing is designed with a specially extruded liner for extended life of the cable. 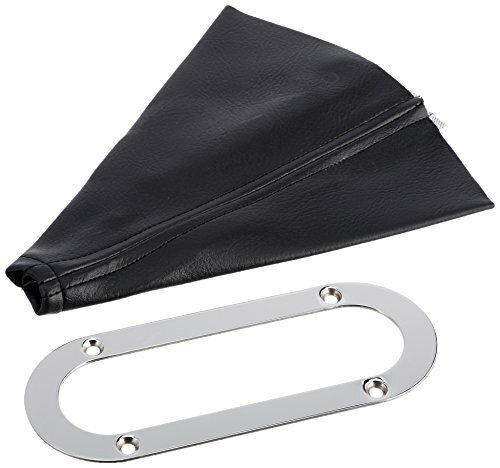 The stainless steel inner cable resists moisture. The design allows rear end backing plate fittings to be removed without removing brake cables. Lokar cables also feature adjustable cable lock and clevis. The kit includes two 8 foot outer housings that are u-cut-to-fit and are available in stainless housing or black housing. The application fits 8 and 9 inch Fords, Chevy, Chrysler and Lincoln Versailles drum and disc brakes.